Use of Kayaks, Paddle Boards, Snorkel Gear, Fitness Equip. Final payment due on or before – Jan 15, 2018. No refunds after Jan 15, 2018 unless a replacement can be found. 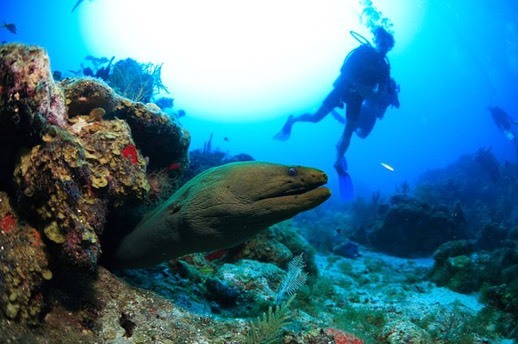 Join Sea Dog Divers as we explore Roatan, the largest of the Bay Islands in Honduras. 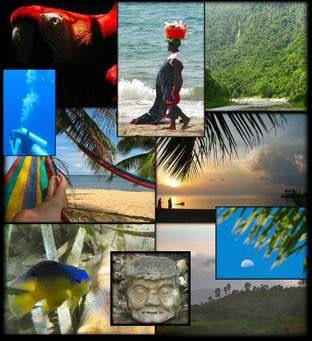 Discover an island with authentic Caribbean and Latin American lifestyles. Located on Roatan's Northeast shore Turquoise Bay is the only dive resort in this lush and remote area of the island providing you with the opportunity to dive uncrowded, pristine dive sites. The resort is set on a hillside with spectacular ocean views and a protected bay which makes the water calm and perfect for swimming and kayaking. 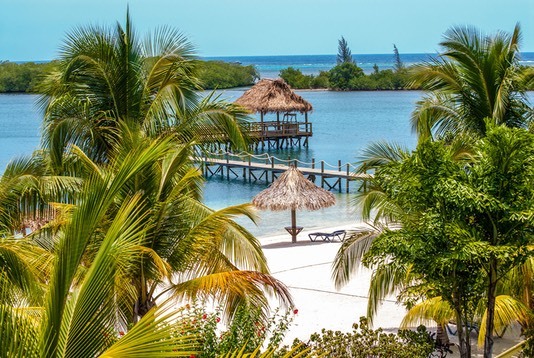 The private beach and resort are quiet, and removed from the hustle and bustle of areas like West Bay, but not so isolated to keep you from visiting other areas of Roatan. 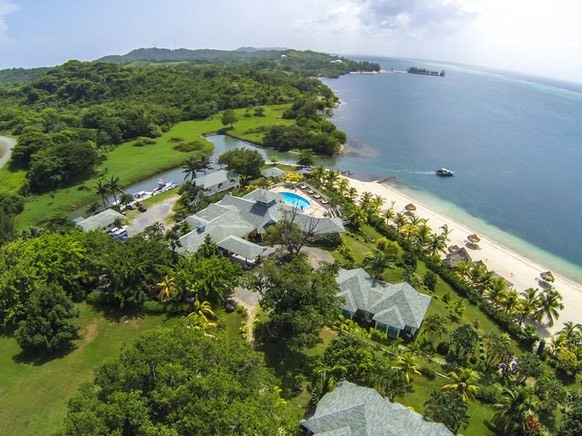 You can enjoy the privacy and tranquility of the longest private beach in Roatan, with its white sands and palapas and palm trees offering shade, a beach bar, lounge chairs and a volleyball court. The water is calm and perfect for swimming, or exploring with our complimentary paddle boards and kayaks. 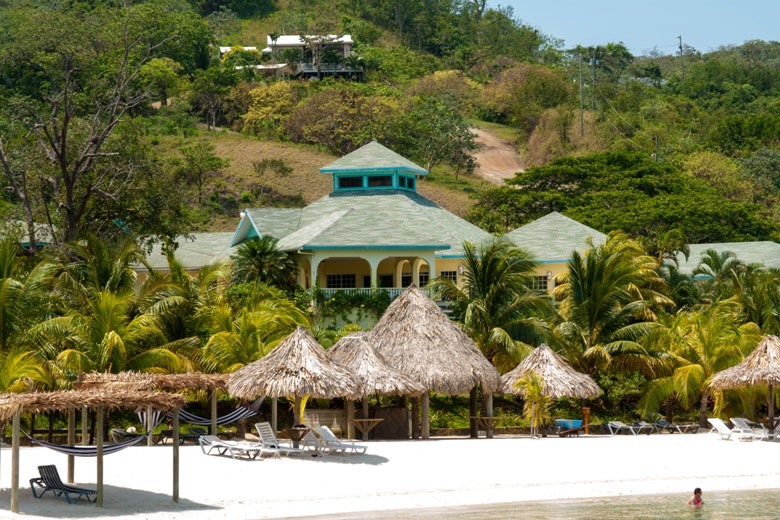 Your retreat to Turquoise Bay on Roatan not only includes a relaxing stay in one of our Ocean View rooms, but also exclusive access to a wide range of resort amenities. 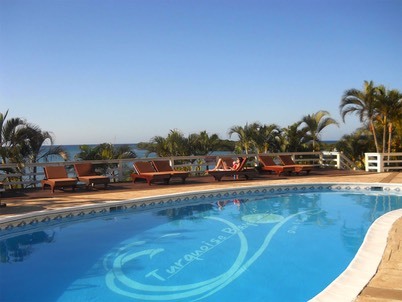 Cool off in our tropical pool or sunbathe on the terrace overlooking the beach and sparkling waters of the Caribbean Sea. Our bay is protected by a mangrove island and the off-shore reef so the water is calm and perfect for swimming, or exploring with our complimentary paddle boards and kayaks! And when hunger strikes, let the imaginative and culinary talent of our head chef prepare delicious local and international creations for you, and experience the best of authentic Caribbean and Latin American favorites. The on-site dive center is open 7 days a week and the dive and snorkel boats leave daily at 8:45 am, 10:45 am and 2 pm. Our dive sites are close by so we come back to the dive shop for our surface intervals. When we go to some of the further dive sites we do a two tank dive in the morning and one tank in the afternoon. Space is limited to so contact us ASAP with questions and to arrange your deposit & reserve your spot! We strongly recommend dive accident & trip insurance!